If it weren’t for its customization capabilities, Android might have been just another closed ecosystem like iOS or Windows Mobile platform. The Google Play store is stuffed with millions of apps and many of them can be used for replacing system apps. If you don’t like the stock dialer, keyboard, gallery, music and other apps, you can choose from hundreds of replacement apps from available out there. What’s more, you can also even use third-party home launcher over the stock one and decorate your home screen in myriad ways with custom widgets and icon packs. When it comes to home and lockscreen customization, wallpapers are probably the easiest things to find and use. As for the sources for getting new wallpapers, you can download them from various forums and websites. Now, you can find a plethora of apps in the Play Store that let you download and apply wallpapers right from the app interface. At DroidViews, we keep sharing beautiful wallpapers, especially the stock ones from newly launched devices, from time to time. Today, we have the complete set of stock wallpapers that come with OnePlus H2OS. The wallpaper pack consists of a number of portrait and horizontal wallpapers. Out of 21 wallpapers, there are 12 lockscreen wallpapers while the remaining 9 wallpapers are for home screen. 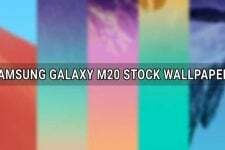 All available wallpapers are in full HD quality with 1080 px width and it means you can enjoy them on your phone or tablet without having to compromise with quality. If you like the wallpapers shown in the preview image, just hit our download link below to get them all in a single zip file. Just extract the downloaded zip and copy the images to your device. Want more wallpapers? 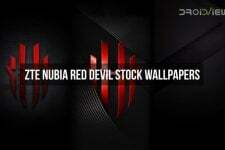 Please take a quick tour of our wallpapers section. If you have been rocking a CM 12 based ROM on your phone, you can get a perfect Hydrogen OS look with H2OS CM12 Theme.